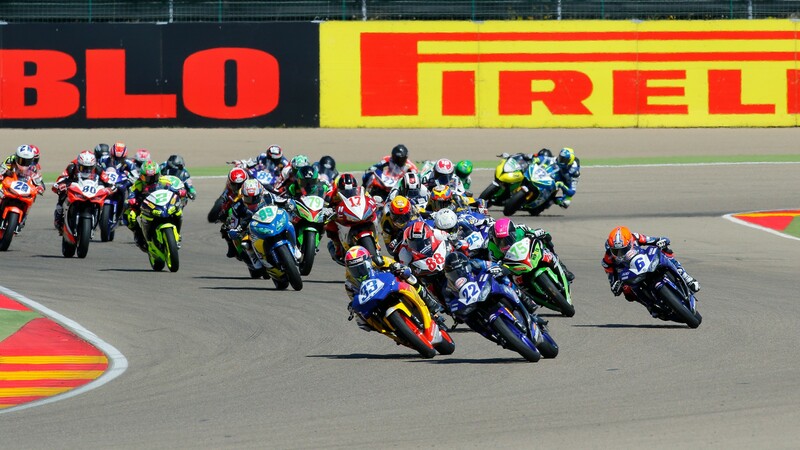 Hosting a grid of 40 riders in the Pirelli Aragon Round for the debut FIM Supersport 300 World Championship round of 2018, the grid is preparing for a phenomenal opening round of edge of your seat racing action. Last season’s opener saw the top four riders be covered by one second over the line and with new bikes, new riders and new teams, this season will be no different. Spanish sensation Daniel Valle returns this season alongside rookie Maria Herrera in the BCD Yamaha MS Racing team, and the duo have a wealth of knowledge in the world of racing. On-board the championship winning YZF-R3, they will no doubt set the field alight with their competitive racing, as Herrera will be gunning to be the second woman to take a world championship race victory. Another rider to switch colours this season is Ana Carrasco, as she moves over to the DS Junior Team but sticks with Kawasaki, the same manufacturer with which she made history with in 2017 after becoming the first woman in history to win a world championship race. Heading into her second full time season, she will be no doubt be building on her confidence to repeat this. KTM are bringing in a strong force this season, with four RC 390 R machines on the grid, all hoping to be fighting up at the front in the highly competitive class. Signing Glenn van Straalen, who secured a podium finish in his wild card appearance last season, they are preparing for a strong year with their vast array of riders.